Texas Ranger Josh Parker will do whatever it takes to bring down the local mafia. But when his twin children and their beautiful caretaker, Tracey Cassidy, are threatened, the case gets personal. When the unsolved kidnapping of her twin puts Kendall Rush's life in danger, Sheriff Cooper Sloane, a single father with his own past to bury, vows to do whatever it takes to keep her safe. 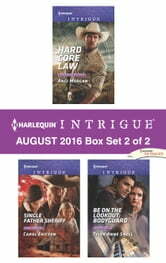 Bodyguard Jonathan Carmichael's last job turns out to be his most dangerous as he fights to protect scientist Kate Spears and keep her research from falling into the wrong hands. 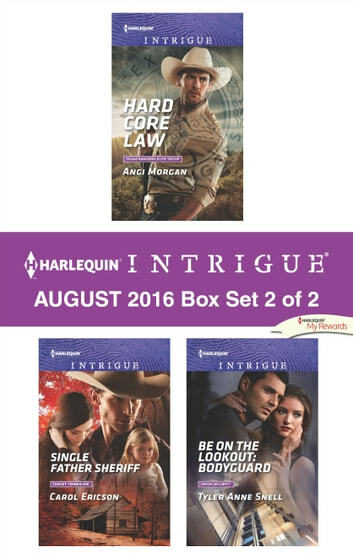 Look for Harlequin Intrigue's August 2016 Box set 1 of 2, filled with even more edge-of-your seat romantic suspense!